More and more people support the ILC, every day! World famous director Mamoru Oshii founds the ILC Supporters! Director of hit movies like “Ghost in the Shell,” Mamoru Oshii is known the world over for his philosophical films and striking imagery. He’s also a fan of the International Linear Collider project! 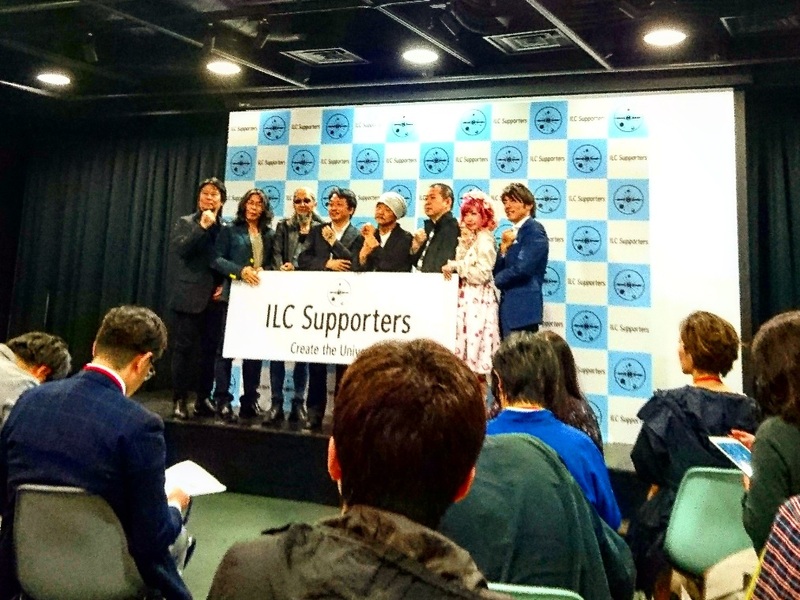 In order to help support the bid for the project, he founded the “ILC Supporters” and held a kick-off press conference in Tokyo on April 16. The ILC Supporters welcomes members of the general public with an interest in the ILC and physics, as well as famous names in the entertainment business. They will support the ILC movement by spreading awareness on the ILC and its significance. Their slogan is in English: “Create the Universe,” and all the Supporters are excited to do just that! The Logo Mark of the ILC Supporters! Koji Morimoto, another famous director, designed this logo for the group. It represents the Big Bang and all of the matter that was born from that moment. Mr. Oshii was so pumped up about the Supporters project that he asked Mr. Morimoto to redesign the logo a number of times! How do I become an ILC Supporter? Just like Mr. Oshii said, it’s not hard! Just follow the directions below to become an ILC supporter. 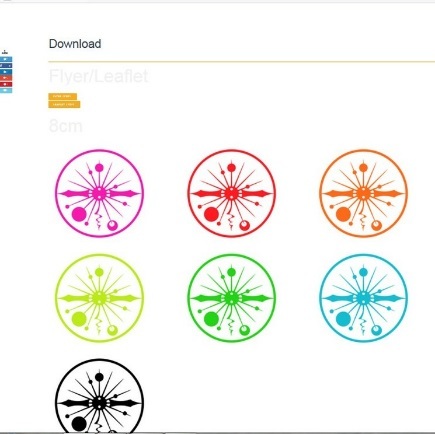 First, head over to the official site (https://ilcsupporters.jp/) and download the logo. 2. Stick the logo on something! You could print it out on special sticker paper, or even put it as your smartphone’s wallpaper. Just place it anywhere you like. 3. Upload a picture to your social media of choice! Take a picture and upload it to Facebook, Instagram, Twitter, or any other social media network, to proclaim to the world that you are an ILC Supporter. 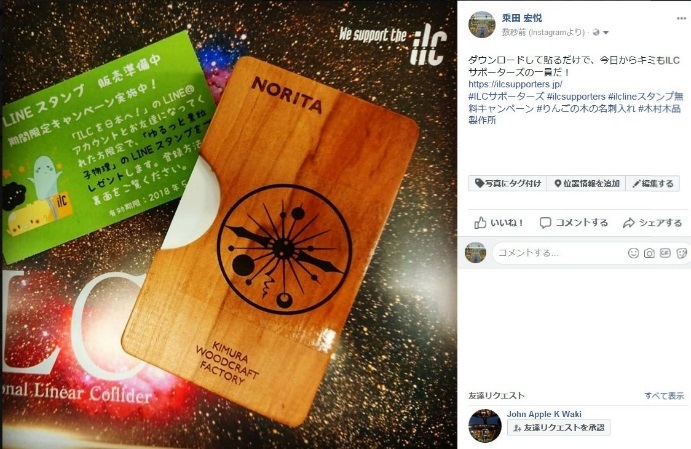 *Remember to stick on a hashtag (#ILCSupporters or #ILCサポーターズ) ! This is my business card holder (always need one of those in Japan), and I’ve stuck a clear sticker of the logo on there! Anyone can become an ILC Supporter – any age or nationality! 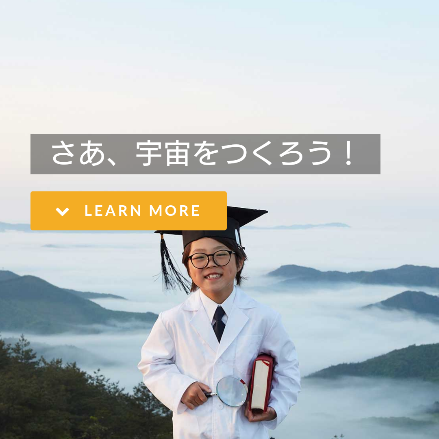 As long as you have an interest in the ILC, and want to support its realization, we’d love for you to learn more about the project and then spread the word to all your friends. We hope many people the world over will become ILC Supporters! There are 26 colors, and two different sizes (5cm and 8cm).